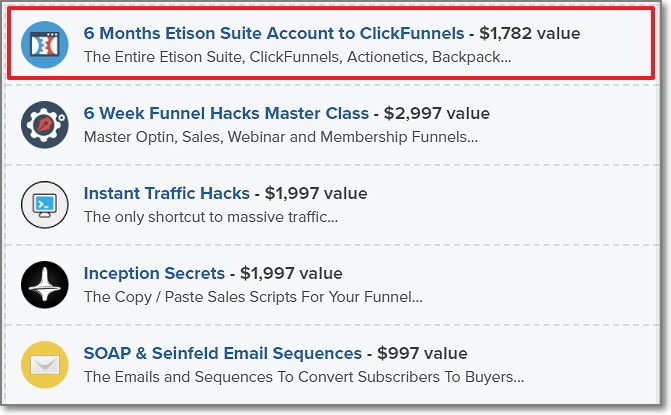 >> GET CLICKFUNNELS SOFTWARE HERE! How to Get ClickFunnels FREE Trial? Whichever business you are in, as long as you have something to sell online, I believe Click Funnels can help. ClickFunnels is a Drag & Drop based software, that lets create sales pages, landing pages inside the sales funnels that people have to navigate through in order to take specific action (purchase a product, join an email list, etc). It helps you to build Optin/Lead Capture Funnels – Used to capture email addresses of your visitors and grow your mailing list. It helps you to build Sales Page Funnels – to sell products and services, with the ability to add any upsells/downsells to your sales process. It helps you to build Membership Sites and generate a recurring income by creating a membership site. ClickFunnels has two price models depending on the features of each plan. One is called Startup which costs $97 and and the other one is Full Suite which costs $297. The main differences of the plans are the number of landing pages and sales funnels allocated per month. ClickFunnels is building different type sales and marketing funnels that are supposed to increase your online sales and revenue. If you have never created a sales funnel before then no worries – Click Funnels has already created it for you. It comes with a comprehensive database of 20+ ready-to-use templates. They are easy to use and take just minutes to set up. ClickFunnels.com comes with very simple and intuitive editor. 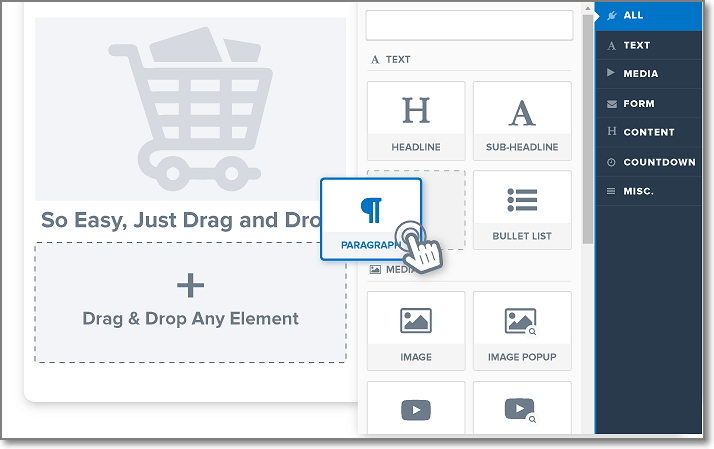 Page elements can be edited inline, and modifying any element’s properties can be done through the fly-out sidebar and no coding is required! 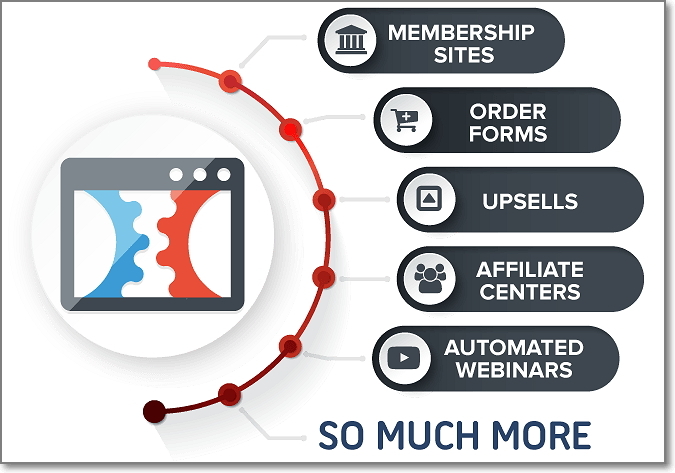 ClickFunnels will let you build membership sites, order forms, one-click upsells, affiliate centers and more! You don’t need to use other expensive sales tools, because this tool already have it integrated and ready-to-go. 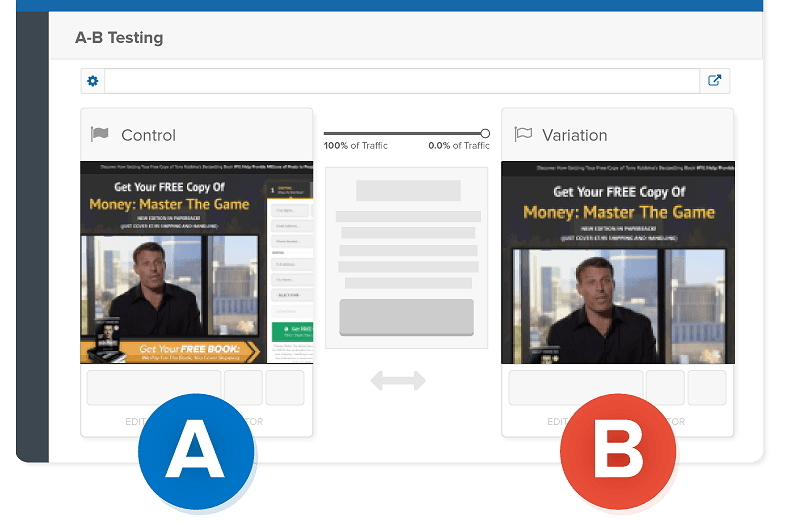 Quickly setup split tests so you can increase your sales each day! You can setup emails and text messages to go out when people join your lists, purchase a product, register for a webinar and more! 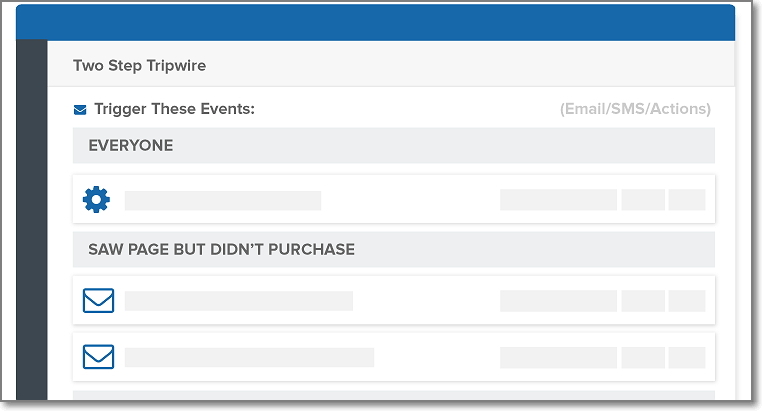 Smart segmentations allow you to only show these messages to the right people inside of your funnel! ClickFunnels also gives you an option to share your personal funnels with others. But the most awesome thing is it also acts as your affiliate link. What means that you will get a recurring commision if this new user will create an account and become a paid customer. ClickFunnels has many fantastic tools to choose from which can be integrated with their system. This will let you not only extend the flexibility of this tool but also will take your sales funnels to the next level using it together with other powerful tools. Using Shopify together with ClickFunnels can be a great way to skyrocket your profits and long-term value from each of your customers. Search for and select Shopify. With Zapier you’ll be able to connect your funnels into 1,000+ other online applications and extend the flexibility of your funnels. Go to https://zapier.com/sign-up/ and signup. Click on “Connected Accounts” in Zapier (make sure you are logged into ClickFunnels). Type “ClickFunnels” in the search bar and click to select. Curious if you can use ClickFunnels on your WordPress blog? 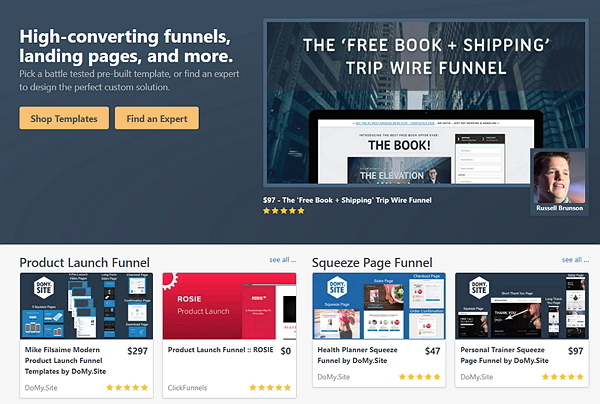 Connect to your ClickFunnels account to show your funnel pages within your blog without any coding. Create clean URLs to your pages with ease and much more. You can download ClickFunnels WordPress plugin here. 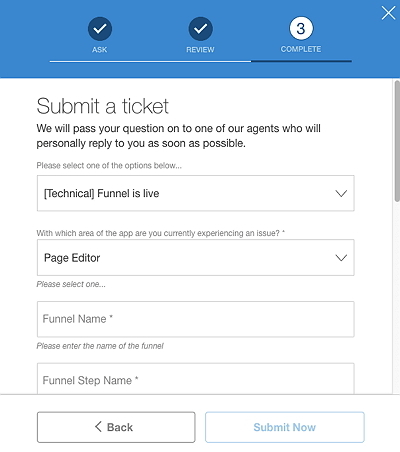 ClickFunnels supports a variety of direct API connections with Payment Gateways. This means you can integrate the option directly with your products in ClickFunnels. ClickFunnels is totally PayPal friendly and is very easy to set up and start accepting payments using this method. With ClickFunnels you can also start accepting credit card payments using Stripe. ClickFunnels templates are already pre-built high converting marketing and sales funnels, which you can use on your own site, without spending hundreds of hours creating your own funnel from scratch. Just download it from their marketplace, change it according to your needs and start using in just a few minutes. If you want to a look into these templates just go to the ClickFunnels Marketplace. 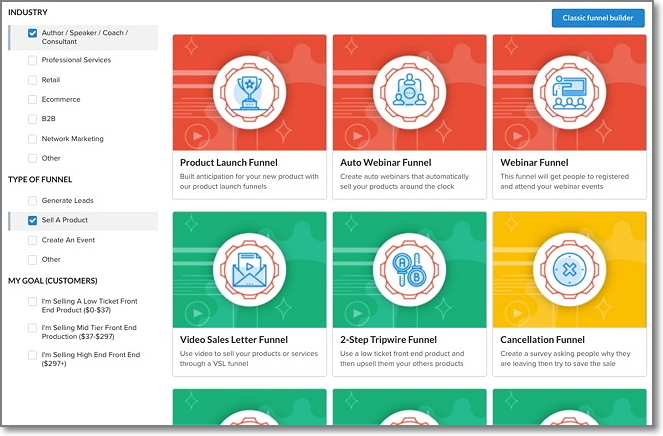 ClickFunnels Marketplace is a place where you can find hundreds of already pre-built and ready-to-use funnel templates for the ClickFunnels software. The price of those templates starts from $0 and can go up to $997. Claim ClickFunnels FREE trial and test ClickFunnels and Actionetics today for FREE and you’ll start thinking how you ever survived without them! And if for some reason you decide later that you don’t want to be a member anymore, then you’ll be able to cancel your account without any penalties or fees. Click on the button below, pick what subscription plan you want to be on, and you’re read to go! If you already have a ClickFunnels account you can login to your account using this page; or look for the button at the top of the page. ClickFunnels also has a SPECIAL discount that not so many people know about (and I want to share it with you here). ClickFunnels support is generally available Monday – Friday, 9:00AM – 5:00PM (EST). Go to this ClickFunnels page. Click on the Get Help icon in the bottom right corner of the screen. Enter your full question and click Continue. Review the recommended help articles for a solution. Click on I Still Need Help or Solved as needed. Select the appropriate option from the dropdown menus and submit your ticket. How to create a membership site with ClickFunnels? Isthere any bonus available if you buy Funnel Scripts? I’m using ClickFunnels to build my sales funnels and I’m 100% satisfied with their services.